English Summary/英文概要： Between 1919 and 1933, German military leaders created and nurtured the Reichswehr, a new military organisation built on the wreckage of the old Imperial Army. 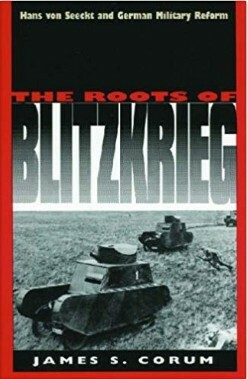 James Corum traces the crucial transformations in military tactical doctrine, organisation and training that laid the foundations for the Nazi Blitzkrieg. He aims to provide a clear understanding of military thinking, reform and reorganisation in post-World War I Germany, as well as to raise important questions regarding fundamental processes in the study and development of military doctrine.